What did Japan look like during the Edo Period? 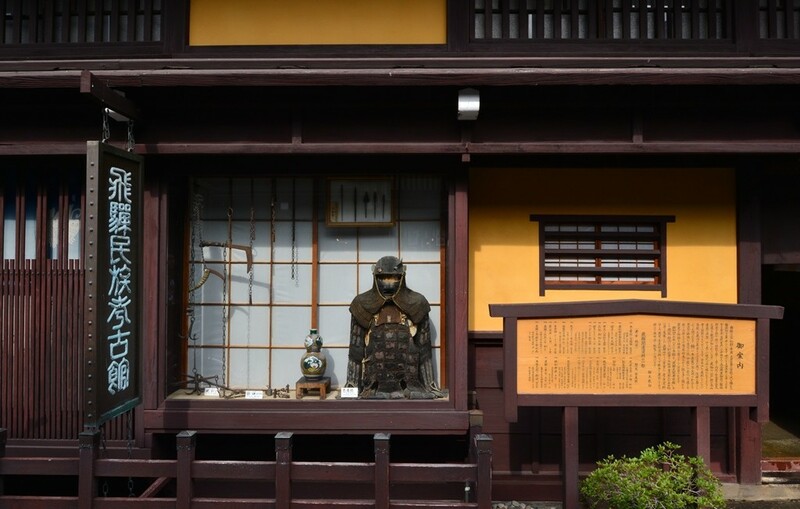 Well, luckily you don’t have to go to a boring history museum to find out– you have Hida Takayama, a place where historians will assure you is one the the most preserved places in Japan when it comes to Edo city life. The town flourished as a bustling city after the construction of the Takayama Castle during the early Edo Period, which was later demolished during the late Edo Period. Although Hida Takayama lost its cherished castle due to political reasons of its time, the people retained their city way of life and took pride in maintaining a beautiful Edo cityscape since then. Sanmachi is an area that is tourist-friendly and has a lot of cafes, memorabilia, and other activities such as shopping, eating, and sightseeing. This area used to be where all the “Shonin,” or the merchants, lived and conducted their businesses. 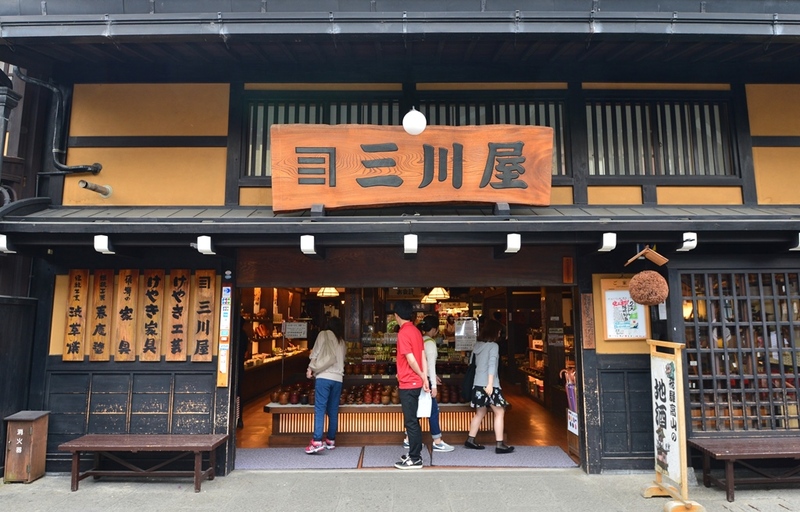 Today it is the center of Hida Takayama and the go-to to enjoy this quaint town which has truly preserved the scenic Edo cityscape, inviting you to a travel in the past when merchants, samurais, and townspeople roamed about. Many of the cafes will deceive you because the outside might look very ancient and historical, yet once you set foot inside it will have modern decor and menus, suitable for the 21st Century tourist! Take this coffee shop, for example. The exterior has a retro-looking sign, yet you can see a glimpse of the neon decoration that says “cafe” on the inside. 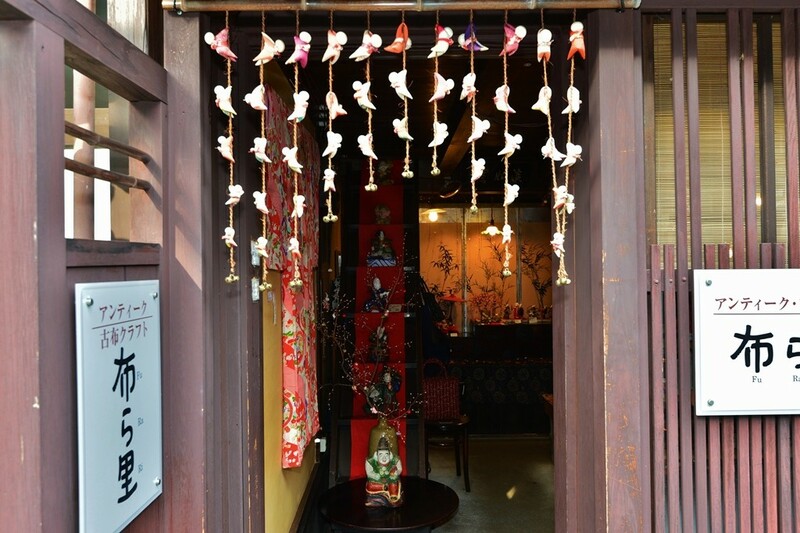 At almost every corner you will find a souvenir shop or a small boutique where you will find Japanese craftwork, art, and goodies. 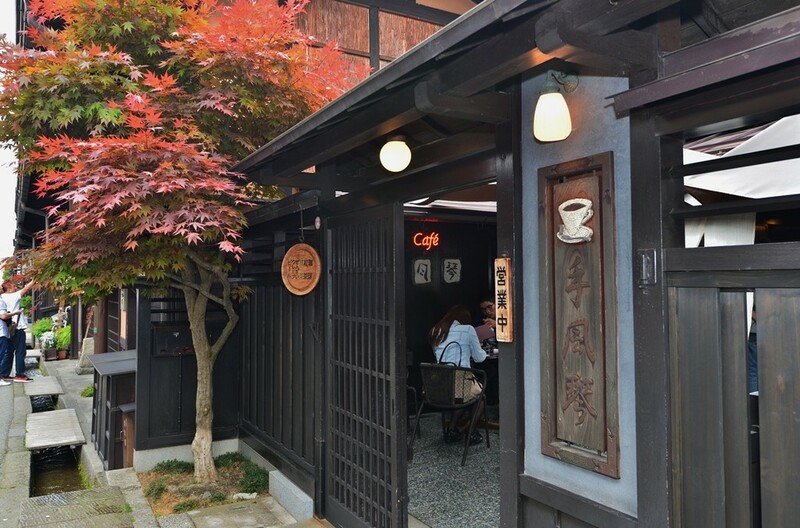 Just like the aforementioned cafe, the stores all retain the Edo Period exterior, yet when you step inside it will be decorated with modern day Japanese craft and artwork. In other words, you can have the cake and eat it, too– enjoy Japanese history, but also immerse yourself in modern Japanese culture by shopping ’til you drop! 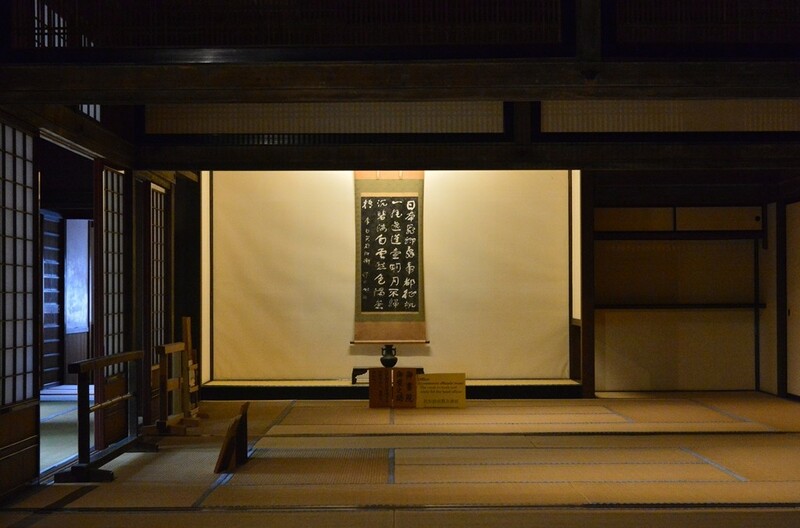 Another popular destination in the heart of Hida Takayama is the Hida Ethnic Archaeological Museum. 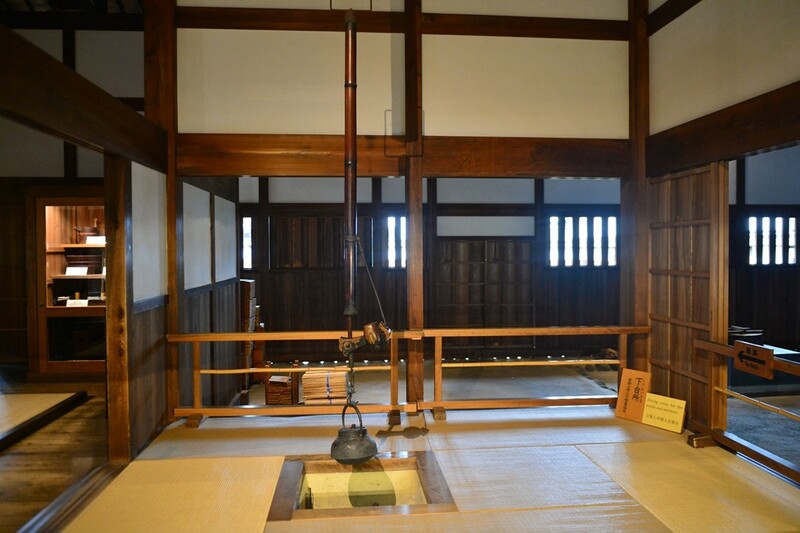 The building of the museum used to be owned by a doctor who served the Takayama Castle, and it has interesting hidden mechanisms such as the “Tsuri Tenjyo,” which is a special type of ceiling that descends all the way down to the floor. Tsuri Tenjyo was commonly used to execute visitors or unwanted visitors, such as ninjas. 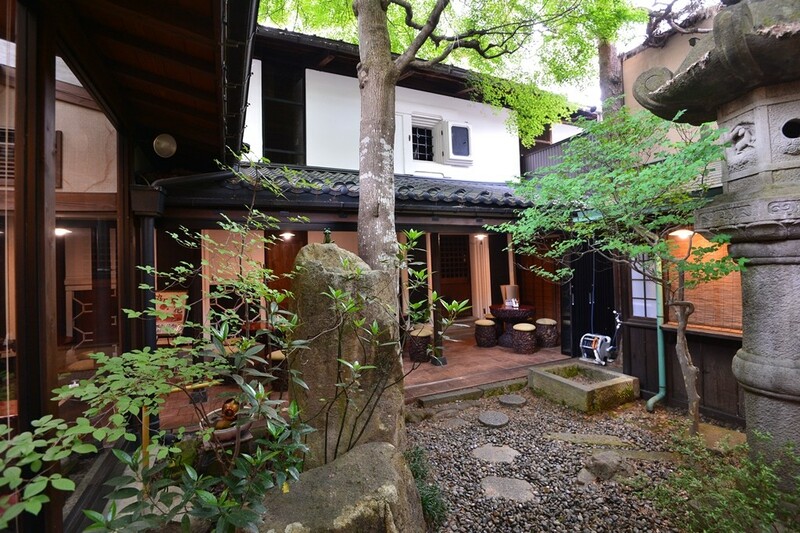 Today this former doctor’s home showcases Hida Takayama history and archaeological findings from Jyomon Era to Edo Era. Tired of walking on foot? 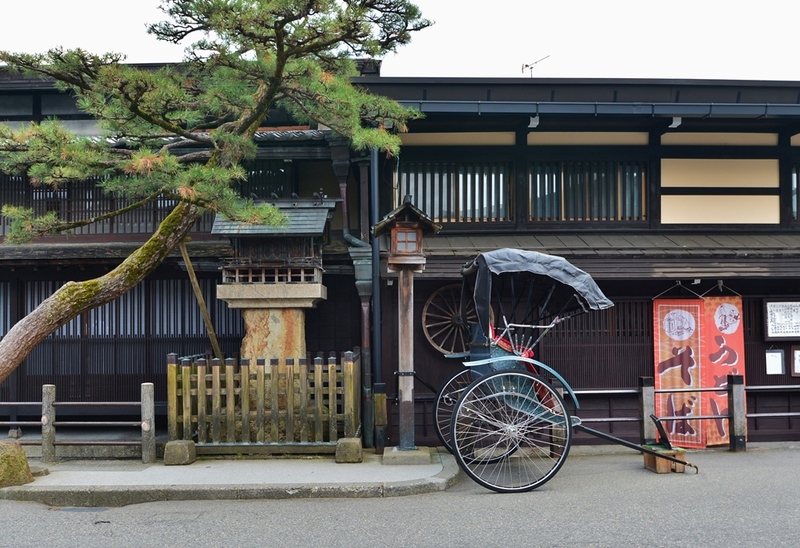 Just hop on one of the Jinriki Cars, where a professional will pull your two-wheeled cart all around Hida Takayama. Takayama is very walkable, but you might want to save your energy especially if you have more traveling to do in bustling cities like Tokyo or Kyoto, where walking is an unavoidable part of transportation. If you’re in Hida Takayama, visitng Mikawaya is a must. This shop has amazing local sake as well as all sort of Japanese food, sweets, and of course, souvenir. 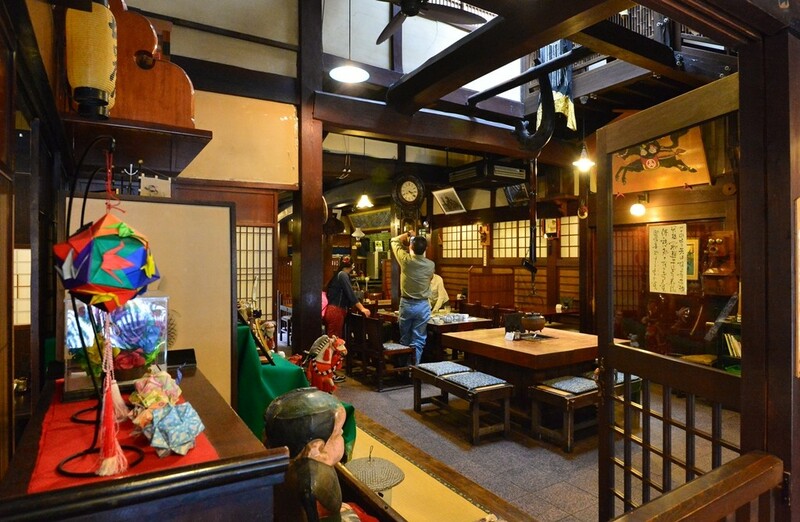 As with all the other shops, the exterior is like the rest of Takayama– reminiscent of Edo Era, yet the interior is clean and modern. Another amazing architectural spot is the Dozo District, where many warehouses are bunched together. These warehouses used to be and are still commonly built right next to resident homes in Japan. Inside the warehouses, the Japanese like to keep valuables such as prized pottery or family treasures. These days, though, they are less common, and the old warehouses have become increasingly trendy and owners renovate and use them as cafes, galleries, or shops. Don’t miss the local craftwork shops and other handmade craft exhibits or stores. They make great souvenirs and are usually manageable sizes so they will not crowd your suitcase and create a traveling nightmare. The crafts are also popular amongst children and adults alike, and for adults instead of getting decorative toys try finding something practical that can be used inside an office or in the kitchen. As can be seen, the crowd at Hida Takayama is just the right size: not too small, but not overcrowded! 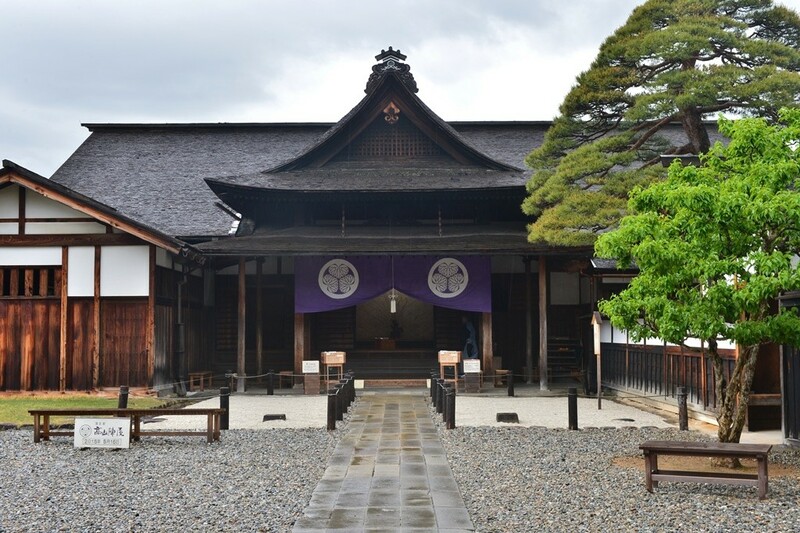 A historical must-see architecture is probably the Takayama Jinya, which was a government outpost under direct control by the Edo Bakufu, serving as a checkpoint to monitor the flow of people coming in and out of Hida Takayama City. Today it is a historical marker and has been restored to showcase the history of Hida Takayama and what Edo City life was like. 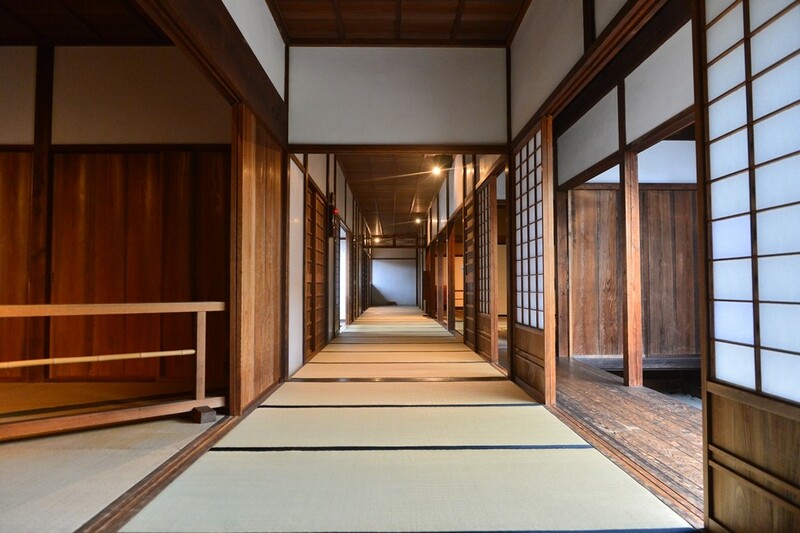 You may be able to tour the interior of Jinya, which is renown for having kept most of the original structure since it was first built. What were the people thinking? How did they capture or imagine the world around them? What was going on in Hida Takayama at the time? You may not be able to find all the answers to the above question, but you will definitely get a good glimpse of what work life was like at Jinya. Here is an irori, which is a formerly common Japanese indoor stove where people warmed themselves as well as cooked meals and boiled water to drink tea. The serene ambience at Jinya will put you in a reflective mood. 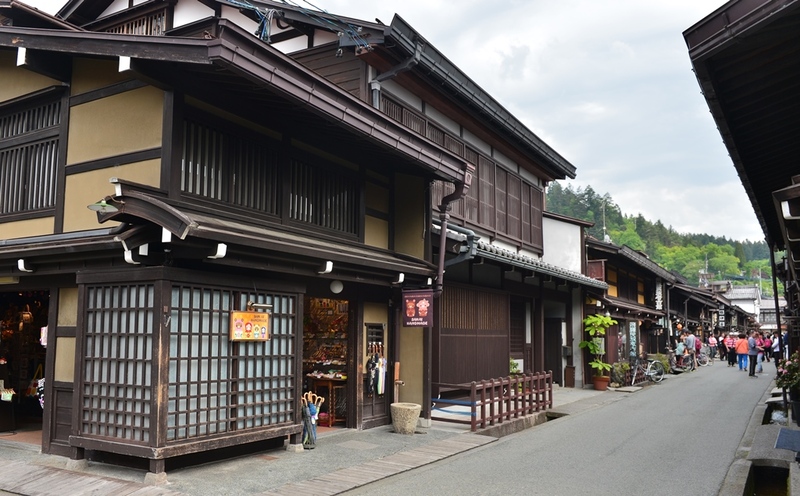 Now a calm, quaint town, Hida Takayama at some points in history was a bustling castle town and was an important checkpoint for the Edo Bakufu. Because history is a continuation, Hida Takayama will continue to change. Only you can experience it as it is today– and who knows?– the place might become somewhere different a few decades down the road. 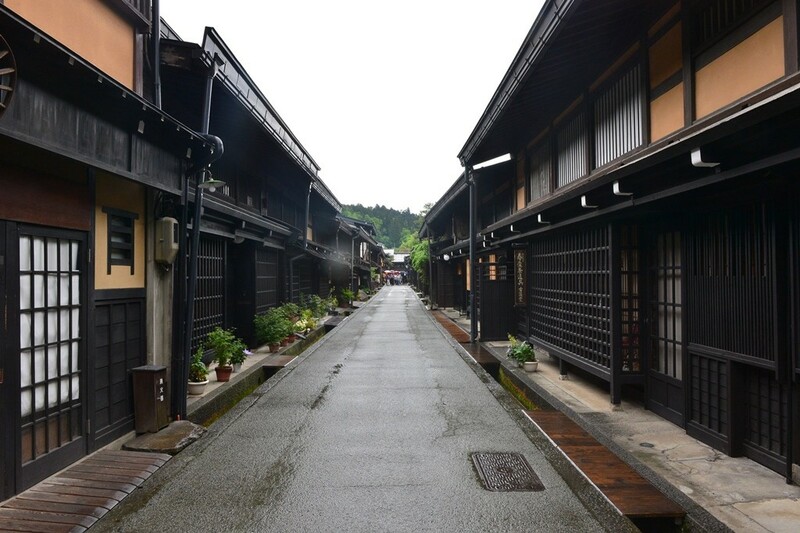 But the memory of Hida Takayama today will remain in your memory forever as the city that has preserved Edo cityscape and mind-blowing architecture. 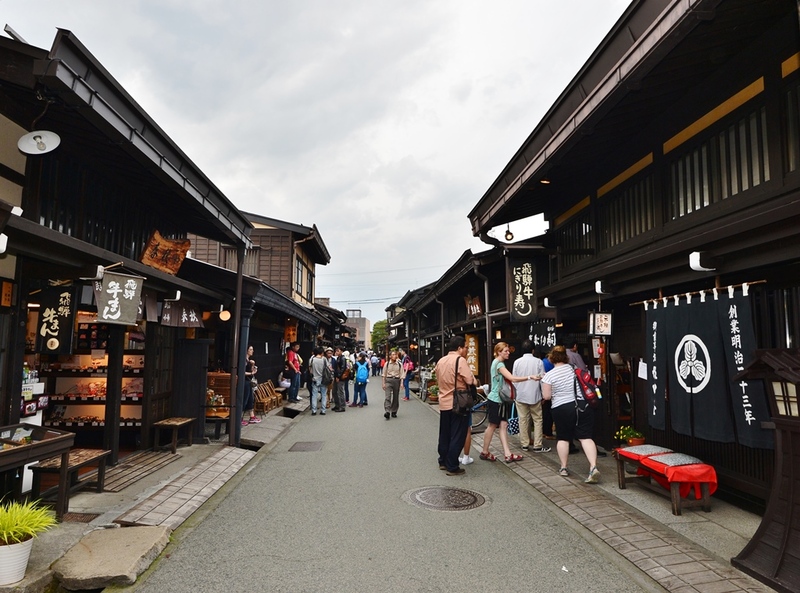 But this quaint Edo style town, Hida Takayama, is a hidden gem that will give you the authentic experience that Kyoto and Kanazawa offers, but minus the crowd and popularity. If you want to have an enjoyable travel in a town that has preserved Japanese history but still want the privacy and intimacy, not a famous, bustling city filled with people… Then, Hida Takayama is definitely your destination! 9-Day Japan Combination Package from Kyoto (One Way Trip Plan): Kyoto, Takayama, Shirakawa-go, Kanazawa, Tokyo and Mt.Fuji.